This 100% Arabica blend is decaffeinated naturally without chemicals using the Water Decaffeination process. 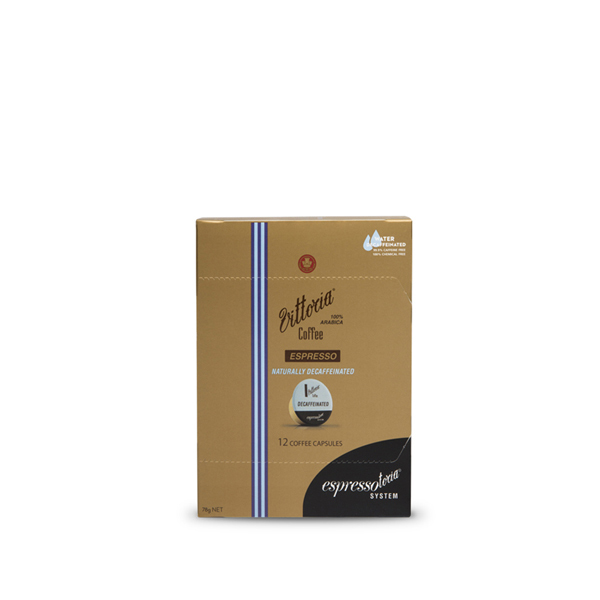 A dark roasted coffee blend featuring a rich, full flavoursome cup, characteristic of Italian style espresso. Vittoria Espresso Decaffeinated is 99.9% caffeine free and 100% chemical free making it an ideal coffee to drink at any time.